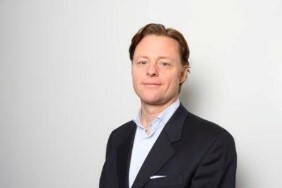 Pascal is the Director of Sustainability EMEA and Project Director, Elephant & Castle Regeneration at Lend Lease. In this role he is responsible for the strategy and implementation of the “triple bottom line” to embed innovative environmental and social approaches across all of Lend Lease’s businesses. This includes a focus on resource efficiencies, carbon reduction and renewable energy options. Lend Lease’s sustainability work also explores research studies to prove the value of sustainability, including the role of plants and nature in workplace productivity and quality of life. The ultimate goal is to establish sustainability in the context of productivity and health & wellbeing improvements. From 2002-2007 he was the President of Swiss healthcare company Roche, based in Montreal and from 2007-2010 CEO of Roche in Milan. Pascal is a Board Director of FSC UK, a global NGO dedicated to protecting the world’s forests and responsibly sourcing timber.